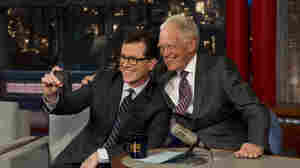 May 14, 2015  No one has been a late-night TV host longer than David Letterman, who retires Wednesday after 33 years. 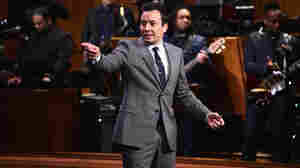 Here's what he told TV Critic Eric Deggans about leaving the Ed Sullivan Theater one last time. 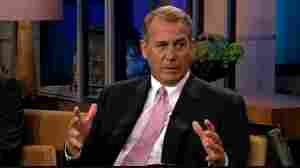 January 24, 2014  The House speaker used a rare appearance on late-night TV to joke about why he won't be running for the White House, and to make some more serious predictions about this year's elections. 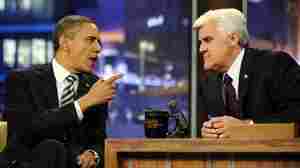 August 7, 2013  President Obama on Tuesday defended the U.S. government's surveillance program, telling NBC's Jay Leno that any tracking of phone numbers or email domestically was "connected to a terrorist attack." 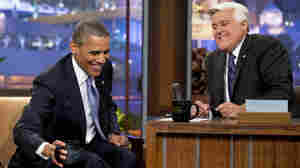 President Obama gestures during his appearance Tuesday (Oct. 25, 2011) on NBC's The Tonight Show with Jay Leno. Was Libya A 'Recipe For Success,' As Obama Says? October 26, 2011  The president made the case on The Tonight Show that the U.S. led from the front, protected Libyan civilians and helped topple the Gadhafi regime without the loss of a single American soldier and at relatively little cost. 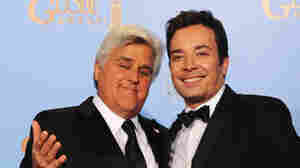 Is Dumping Conan For Leno A Mistake? 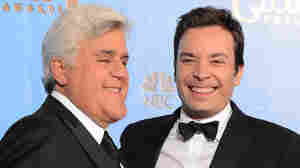 January 11, 2010  From The Atlantic Wire: Why dumping Conan for Leno is a mistake. March 19, 2009  No sitting president has ever gone on a late night comedy show... until now. Should the President of the United States grace the couch of a comedy show? December 9, 2008  NBC rearranges its late-night -- and prime-time -- schedule.